Started this one for a friend. 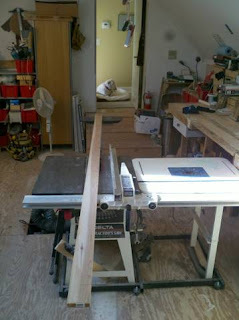 Cedar and Spruce right now, haven't figured out nose and tail block wood TBD as they say in some fields. Stating at top left I'm cutting stock for bottom deck, light weight Cedar. 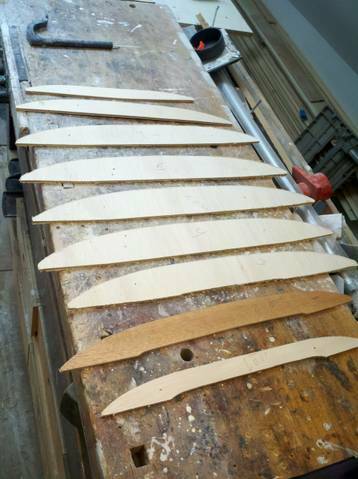 Next is getting Spar into shape after rough band saw cutting. 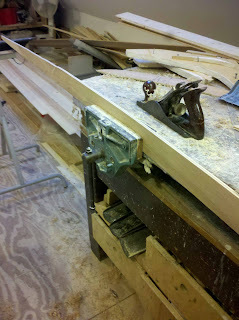 I like using an 18" hand plane to get a nice curve but that smaller one is good for hogging out wood. 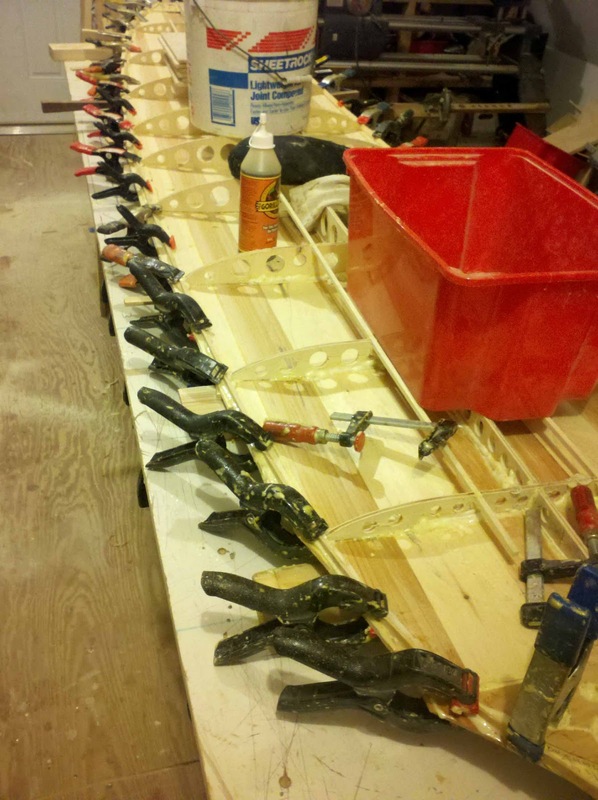 Next ribs are placed for spacing and then final sanding of bottom decks before last glue up to join them. 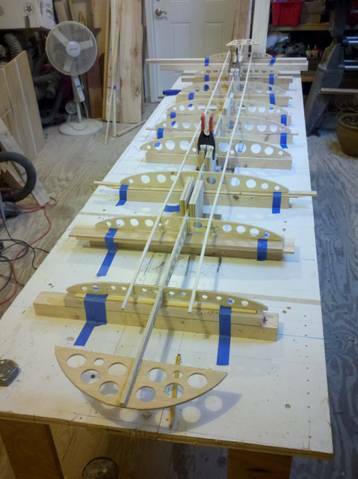 Ribs to Spar to stringers. Nose and tail plates are placed for location and measuring that all is dead on in spacing before gluing. 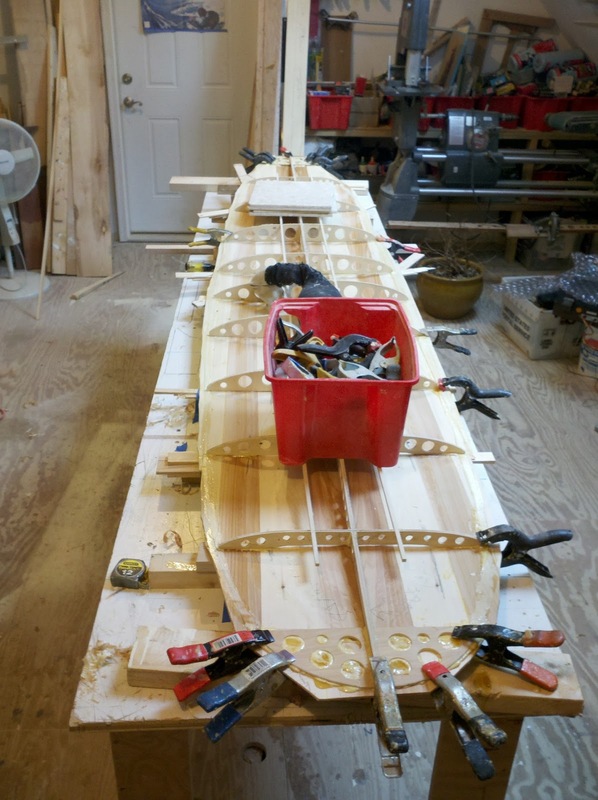 Ribs 1, 3 and 4 are checked for depth of concave in nose section. 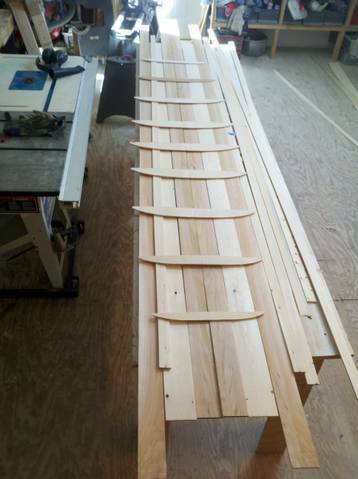 Glue up of bottom Deck to Ribs, then it gets repositioned to glue concave to ribs. Lots of clamps to hold first Rail while being glued. 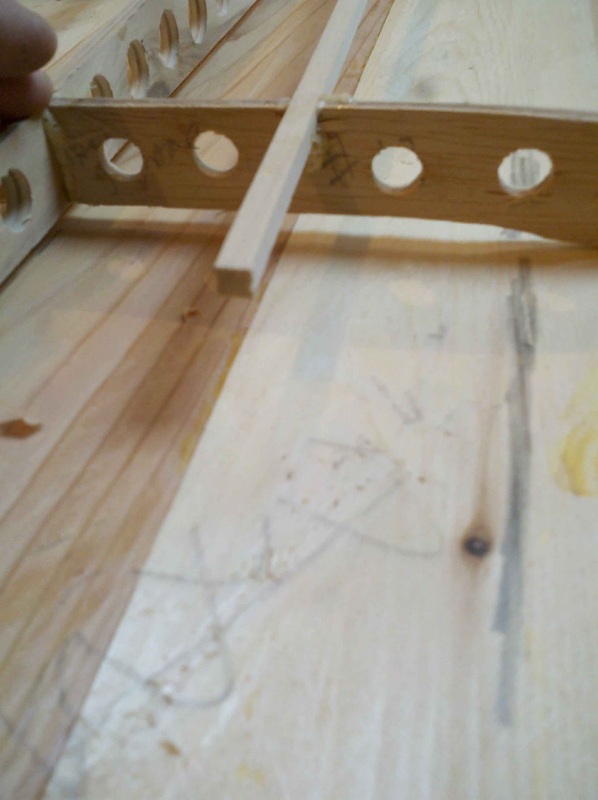 The rails are very pinched tad bit more than can be had on foam boards. Thin rails means a thinner board that is more sensitive, i.e. 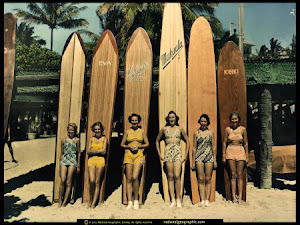 your feet are closer to the water and the leverage situation is much better than a thick one. 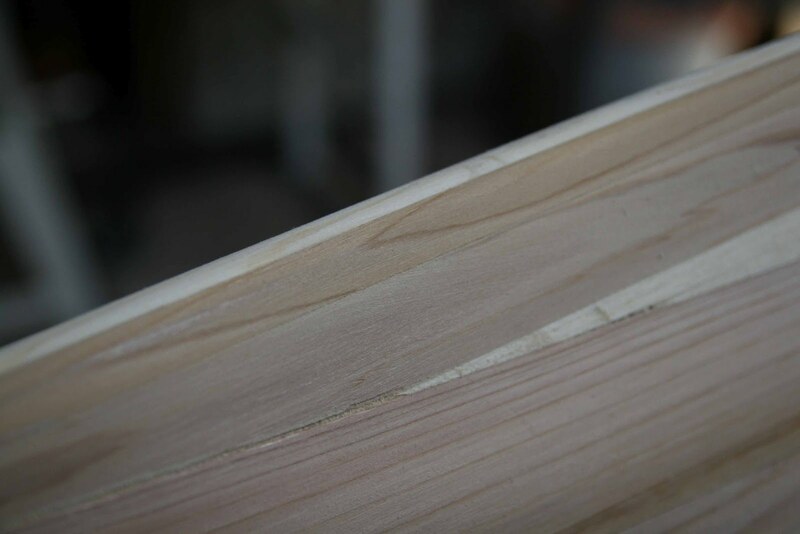 A thick board means your feet are farther away from the bottom of the board making it more difficult to turn. 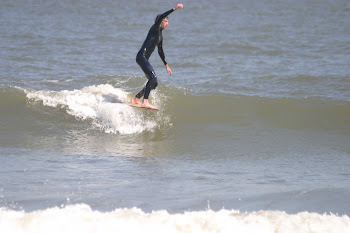 This board is very easy to turn and accelerates very well. It will not loose speed as would 50/50 or thick egg rails. 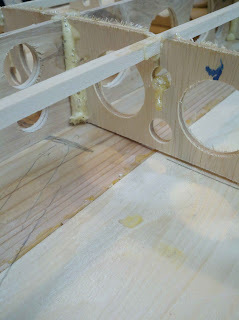 It is less sticky than fuller rails. The tail rocker is 4.5" and nose is 2.5". The tail has a reverse rail foil, in stead of hard flat rear rocker, this one has more like 30/70, an up turned rail. This, combined with tail rocker, helps lift the nose. 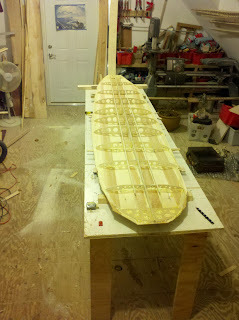 This board takes about more time to construct, but is well worth that extra work. 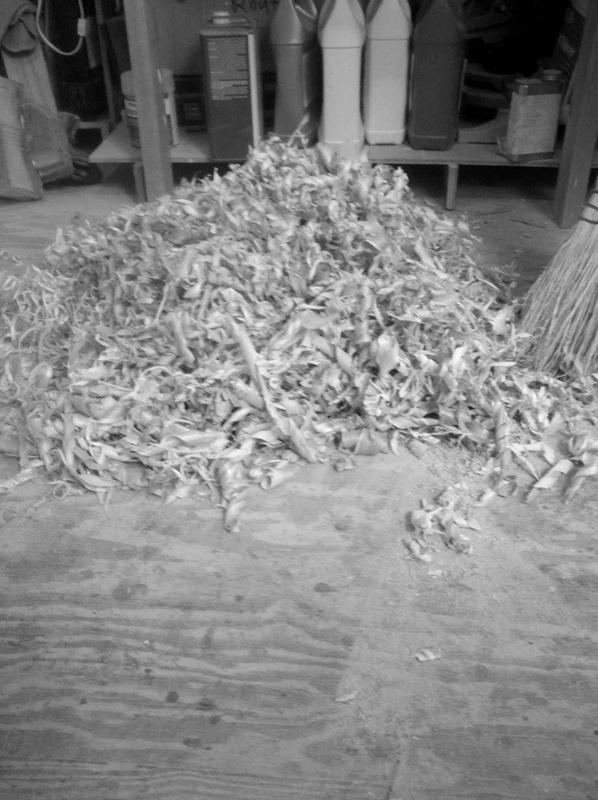 Above is a nice pile of shavings. Planing it all down is tough on one's arms but good for one's soul. 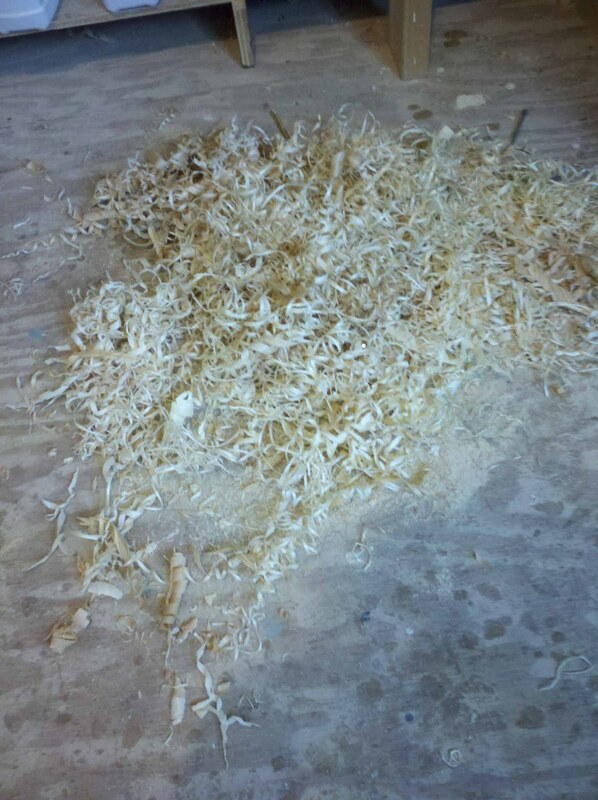 I could use a power planer but that would be too quick. If you've never hand planed wood, you're missing one of the best sounds a builder hears. 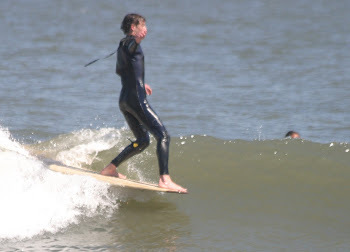 Like a whoosh, whoosh, whoosh. Very satisfying. 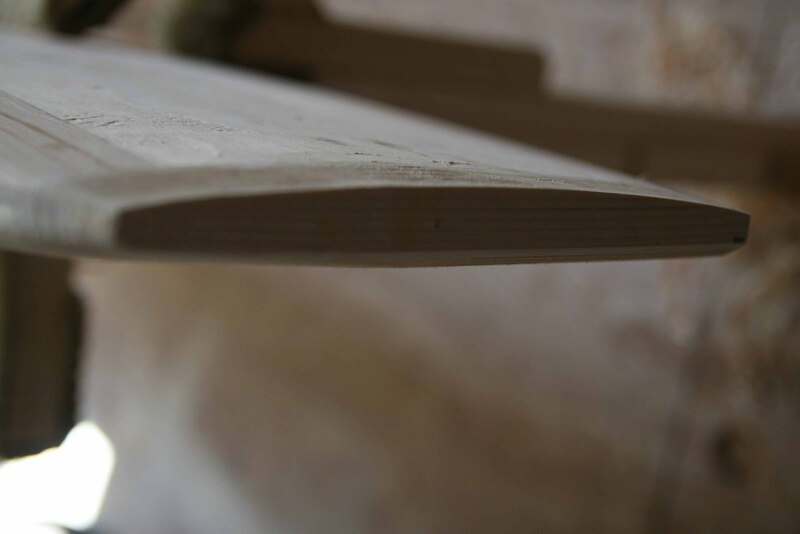 Above fin box placed. It came in dead on vertical. 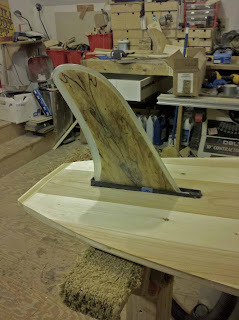 The tail is 8.5" wide and with fin placed here it will have very good holding and with proper fin, will turn perfectly. 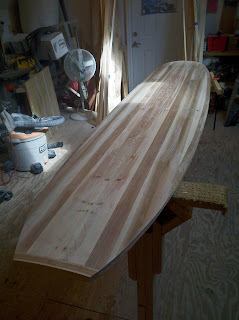 All I need to do now is taper rails, shape nose and tail block, and finish sanding. 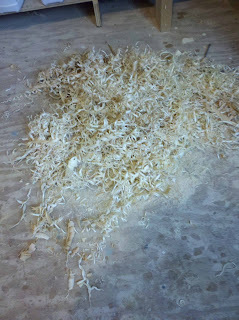 More shavings from just rails, nose and tail blocks. 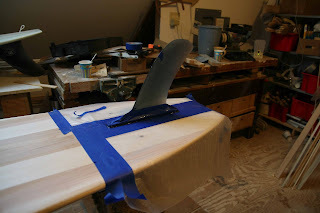 Fin box dead on 90 degrees to board. 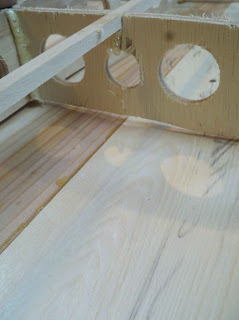 Just a cool detail shot where cedar meets spruce meets cedar.